For many years I have argued that, BMW makes the best and most well-rounded cars in the world. By that, I mean they’re quick, beautiful, comfortable, and in its diesel era - gobsmackingly frugal. They’re pretty reliable without much maintenance horror stories. They’re extremely pleasing to drive, too. I loved the brand so much, I even went on to work for them as the product specialist. Of course, I completely botched the job. Apart from coming in perennially late, I had no concept of a business model. I went on to tick every single option I wanted and would attempt to have my boss sign off on it. No one with a half a brain would pay that much money for a Bimmer thanks to our country’s notorious tax scheme. Nonetheless, back then the cars that made a killing were barebones cars. The taxi specced 318d, the 520d that not even our bosses could love, and the X3 sDrive18d - virtually a Bimmer fit for ride sharing. The very things I loved about BMW as a child were no longer present in the cars that were being sold in the dealerships. The sweet inline-6s were replaced with 2-liter oil burners, which had the same engine note as a Suzuki Vitara. Gone too, was the distinct pungent smell of leather - the kind when you stepped into a family gathering, your aunt could tell you’d just stepped out of a BMW. The distinct and precise steering feel was replaced by an eco-loving electric power unit that’s supposed to make the car more economical. I’ll give it to BMW, they still drove quite good, but lost its x-factor along the way. It seemed like the local strategy was to sell a car to the son of a Chinese businessman who walked into the dealership with a bag of cash, ready to buy a BMW badge with some wheels on it. Things changed a bit when I left the company. I knew they did, because BMW did send the previous generation F25 X3 for me to test. I wrote about it here, and I thought it was a big leap, not because it was built better, but because it was impeccably specced. Finally, a local X3 deserving of the Munich badge. Surely, it did not drive in the same sporty verve as the first generation E83 X3, but that’s really down to a lot of economical reasons. It didn’t make beautiful noises, but it made up for in seamless pulling power. It had a talent for always being in the right gear, and it felt more of a BMW than the rest of the taxi specced garbage that came before it. I thoroughly enjoyed driving it and it slowly reacquainted me with reasons why I was in love with brand in the first place. Now there’s a new X3. Ironically, it’s based on the brand new and endlessly praised 5 Series. It was delivered to my home in the evening, and I was shocked when I first saw it sitting on the street. Its silhouette was so huge, I thought they mistakenly delivered an X5. It’s handsome too, with a more cohesive BMW X model design. The X3 sat in Glacier Silver, dressed in M Sport jewellery - albeit with the same beating heart as the previous model that I drove. 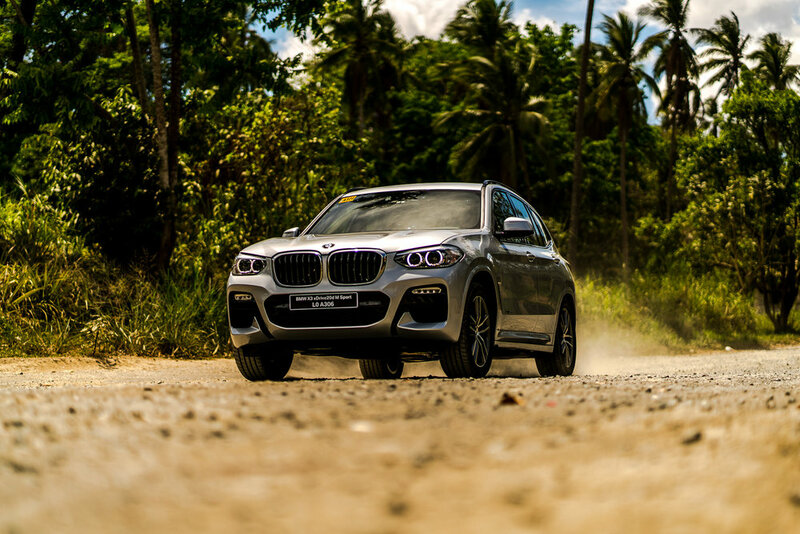 Since I am almost certain that they will not locally bring in a bigger engine, and that this M Sport will most likely be the flagship of the X3 here, I would’ve liked to see it in better 20-inch shoes. Nevertheless, I am sure there’s a ‘business strategy’ involved in this, so I won’t bother nitpicking, because really, that’s all I’m doing. It’s a beauty. It even has a set of active kidney grilles that close at speed to improve aerodynamics. Really clever. The biggest change that blows the mind is the interior. It is so beautifully-built, it almost feels too upscale for an X3. 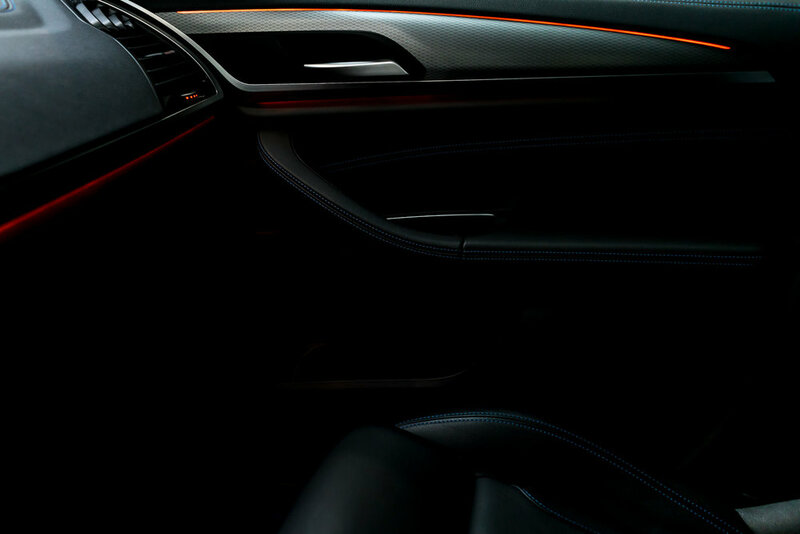 It has loads of soft touch leather and kilometres worth of blue stitching wrapped around the cabin. At night when the interior is fully-lit, it morphs into the USS Enterprise. I didn’t know who Spock from Star Trek was until Maan started doing this awkward ‘V’ hand gesture. Now I know all about Leonard Nimoy. 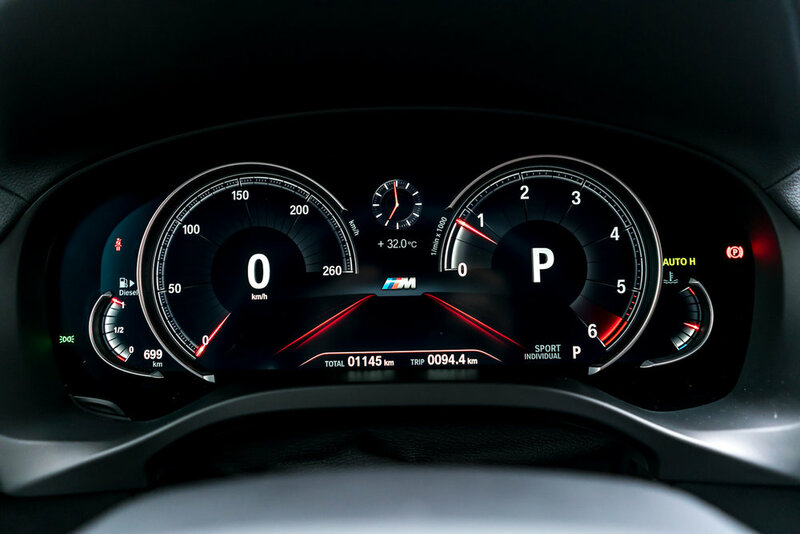 The M leather steering wheel is so perfect to hold, I wouldn't let it go even if Kate Beckinsale stripped beside me. The sport seats are perfect even with the lack of an adjustable lumbar support. I guess BMW felt that electrically adjustable side bolsters are more fitting for this SAV, a good sign of things to come perhaps. There's also no adjustment for the height of the seatbelts. 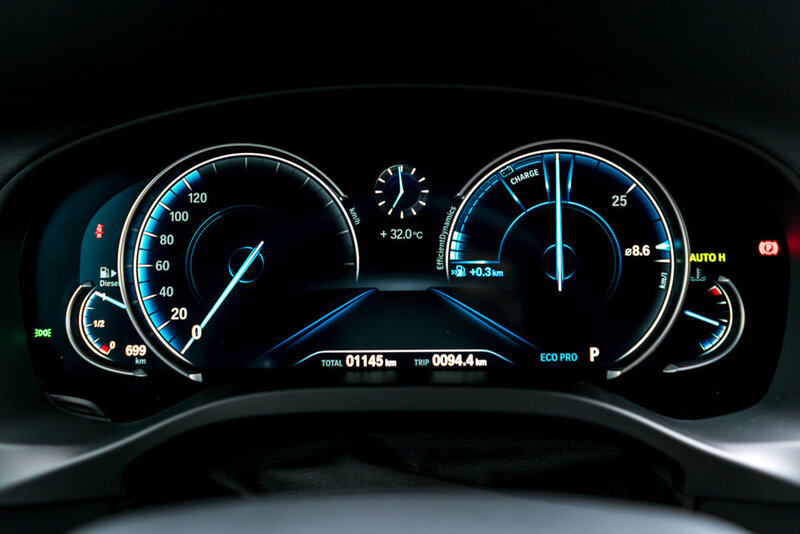 It doesn't really matter because there’s a stunning multifunction display. Every mode you choose has a specific display, and they’re all clean and very well-thought of. The screen is crisp and all the information is self-explanatory. It's very BMW. It's an Etihad Airways suite. How about the latest iDrive 6.0? BMW started this on-board computer game when it launched its new 7 Series sixteen years ago, and that’s a lot of time to perfect it. It is the industry standard. The reference point. It is the Ayrton Senna or Michael Jordan, if you like, of on-board computers. 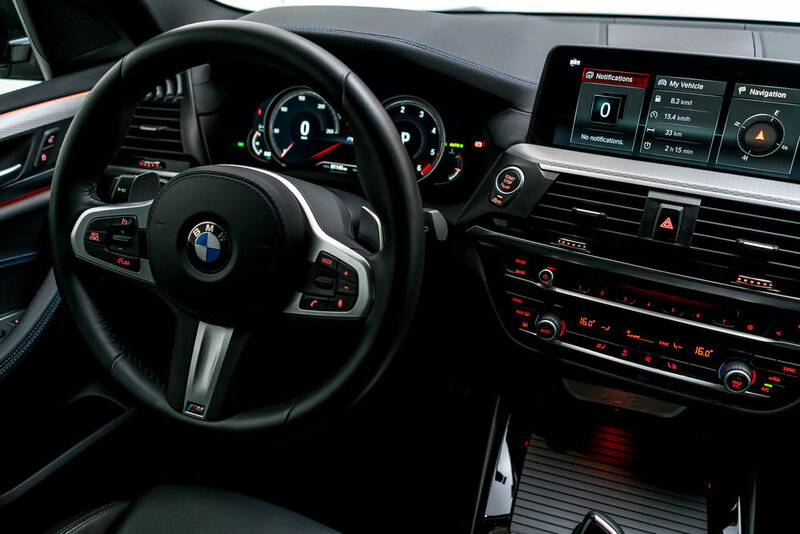 I’ve never impressed more people with a stationary BMW because of this thing called Gesture Control. It allows you to control the volume or take calls by making hand signals. It's all very Sci-Fi. It's cool, but you'd look like a complete moron if someone saw you do it while stuck in traffic. It’s black magic, I tell you. If you’re having trouble getting laid, buy one of these. 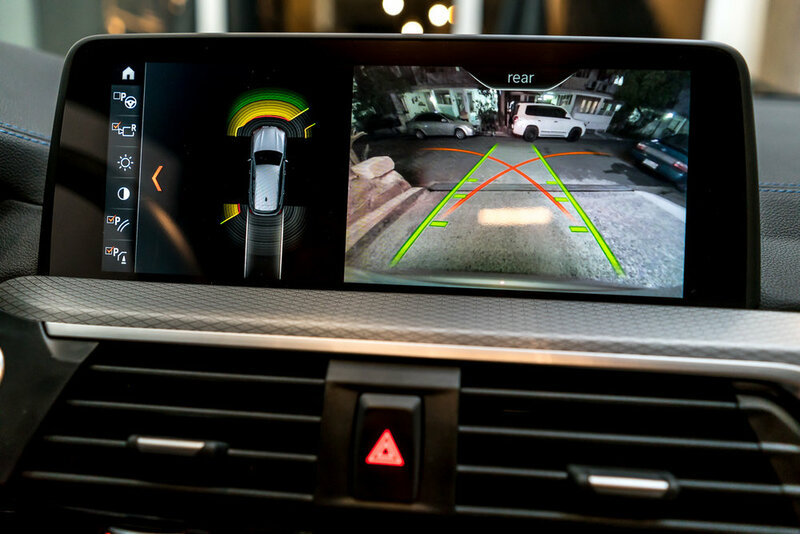 Oh, and that rear-view camera is so clear, it must be 4K. You can shoot a film with it. The biggest standout in this, and most BMWs, is how all of these bits of technology work together. They feel built to support each other, and you feel this the most when you experience it. "The steering wanted to do something else, like read a book or swipe left on Tinder. It's still good. It's just bored." The larger exterior thankfully translates to more interior volume. 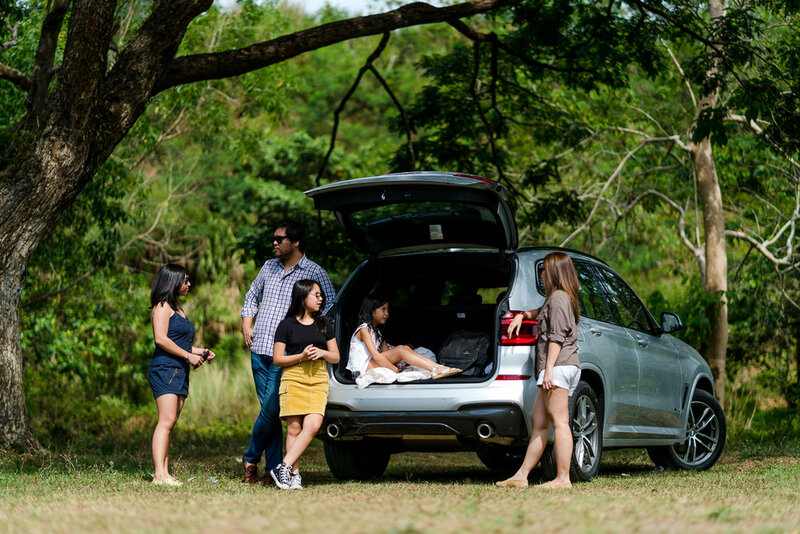 There’s a lot of space inside, which is only right, since this X3 is roughly the same size as the very first X5. You can even recline the rear seats. It's a consolation prize for those that aren’t lucky enough to sit in front. The boot space is great too, and you can fold the rear seats flat if you like, to make space for your pet elephant. 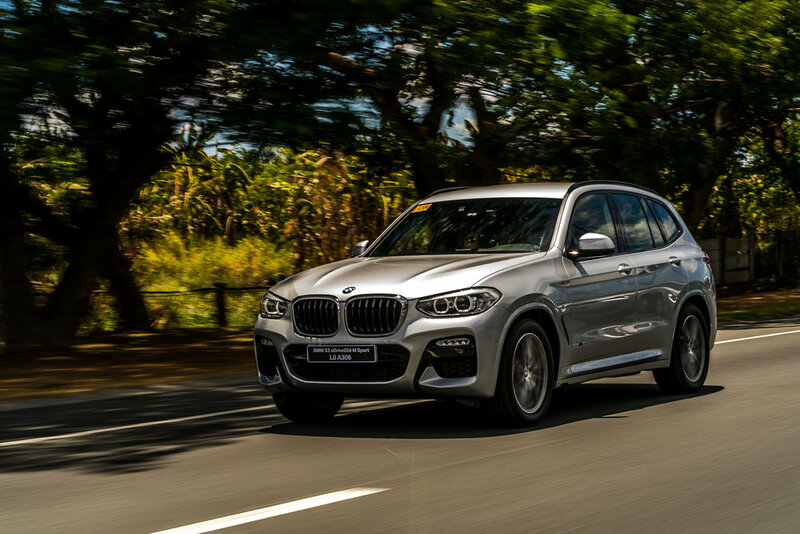 As far as opulence, practicality, and versatility goes, the X3 has the competition licked. However, this is a BMW and it will be judged based on how it drives. Is it still the ultimate driving machine in its class or has sheer driving pleasure walked away and morphed into a fashion accessory? Well that I’m afraid, is a little tricky to answer. It is equipped with the same peppy 2-liter engine as the previous model and the same peerless 8-speed ZF automatic gearbox, so what’s with the vagueness? Well, let’s start with the electric power steering, because it is pretty vague. Out of all the BMWs I’ve driven in the past, this one seems to be the least ashamed of its electricalness. It feels, and there’s no other word for it, electric. It’s never dodgy, but it lacks the surgical precision that I love about Bimmers. There were moments of wherein I had to back off earlier than usual because the steering wanted to do something else, like read a book or swipe left on Tinder. It's still good. It's just bored. What I found to be more annoying is the way the gearbox is mapped. In Comfort mode, the gearbox shifts a lot slower than it used to. When you tap the paddle, the shifts are brisk. If you let it shift on its own, it’s like an old man sipping cappuccino while doing a crossword puzzle. It’s annoying, because the speed of the shifts don’t increase like some cars do when you floor the throttle. You must first put it in Sport mode to get those quick shifts. There’s no way around it even if you configure Sport Individual mode. Activating ‘sport’ on the gearbox, will give you the quick shifts, but will also hold the gears longer - missing the sweet spot of the torque band. What’s the point of that? It’s an X3, I don’t want to be in Sport mode all the time, but I want to ride a tidal wave of torque with just a little pressure on the pedal. I don’t need a kick down that inadvertently misses the torque band. I conclude that this new setup is beneficial to fuel economy and more people will probably appreciate it because it feels like it doesn't even have a transmission. If this were any other car, it would be fantastic, but because it’s an X3 and I know how the old one drives, I’m left a bit dry. I imagine that most people who’ll buy this won’t really care, and they shouldn’t because this plays to their advantage. It is smoother than ever before. You can argue that this new X3 is the most complete, most competent, and most opulent one they’ve ever made - and you'd be right. It’s so damn quiet inside, it can pass as a Tesla. The NVH rating is off the charts. It has the interior design of a 7 million peso car and the build quality is the best it’s ever been. 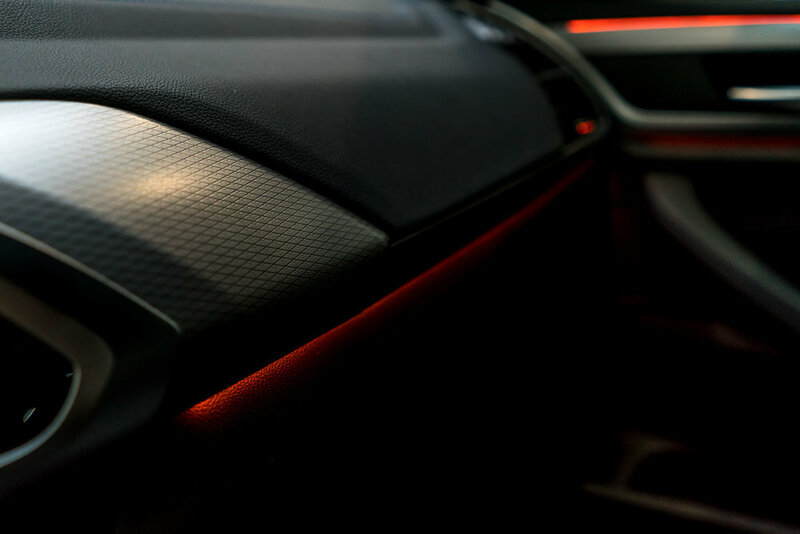 The adaptive LED headlights are magical when the sun fades, and it isn’t even the highest spec Icon Adaptive LEDs. 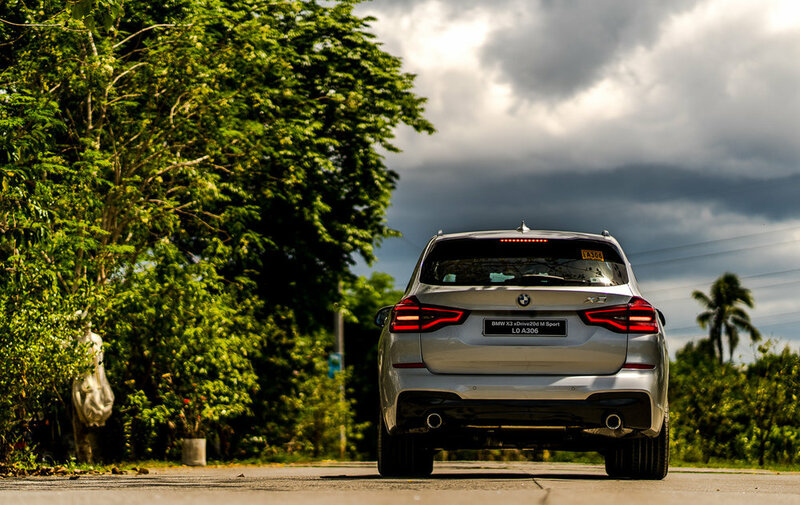 Those top of the line lights bring the X3 bang up to date in BMW's new set of eyes and they look the part. I am certain that this will sell like hotcakes, given that this seems to be the least polarising one since the inception of the X3. 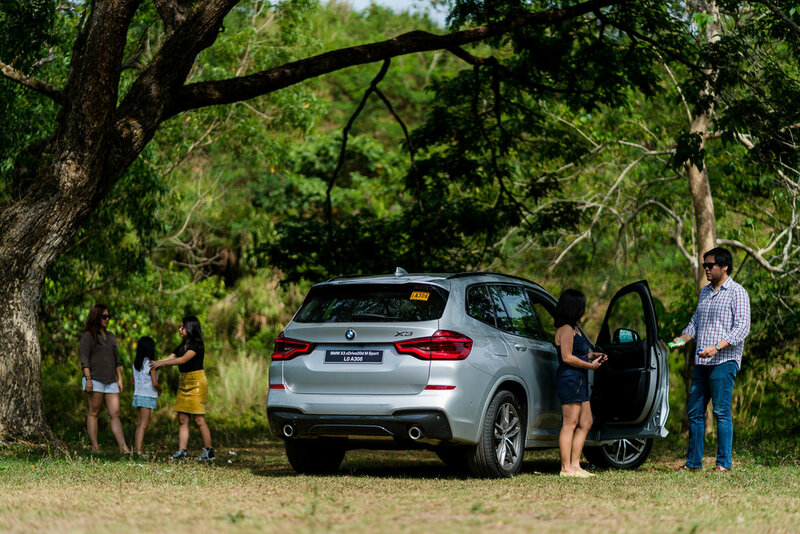 It’s bigger, better, and more luxurious than ever before, but it falls on short on the one thing that I love most about BMW - the driving experience. It’s still a dynamic piece of kit, but it doesn’t feel like it enjoys it anymore. It’s grown up too much, too soon. I never gave the engine a workout on the highway because it never encouraged me to. It’s too chill and its opulence doesn't help it either. With that said, it’s a lovely automobile to cruise in and do many, many miles in. It’s frugal too, and will easily do 1,000 kilometres in one tank if you drive out of the city. As a total package, it swallows up the competition. In the eyes of many, this may very well be the best X3 ever, and it should be. I’ve always liked the X3, from the E83 to the F25, because it reminded me of the stereotypical girl next door - one-track minded, a tad bit naive, but infinitely charming. This new X3 is still her, but after attending Istituto Marangoni in Milan and getting a degree in fashion. She’s now sophisticated, well-rounded, and horrifically appeals to every kind of man, especially those with deep pockets. She's adorable still, but her old character is missed - genuine, intimate, and above all else, deeply connected to me. This all-new X3 is a much better and more complete automobile, but I’m not quite sure that it’s a better BMW. "Porsche now makes something other than a 911 and Mercedes-Benz can now take corners without falling into a ditch. 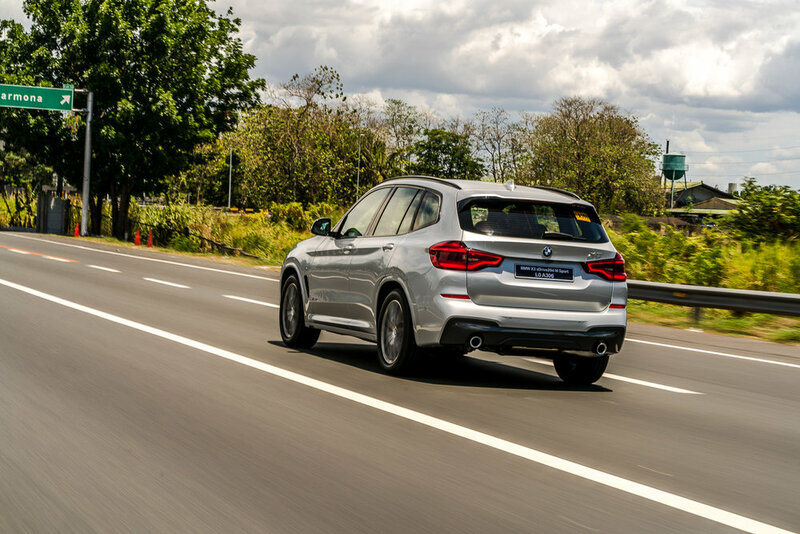 The space that BMW used to solely fill as the luxury benchmark in driving dynamics is now under threat from its rivals, or is it?"